Last month Wedding Chicks, one of our favourite wedding blogs, published a truly unconventional style inspiration story, celebrating brides who like to stay true to their own unique style. 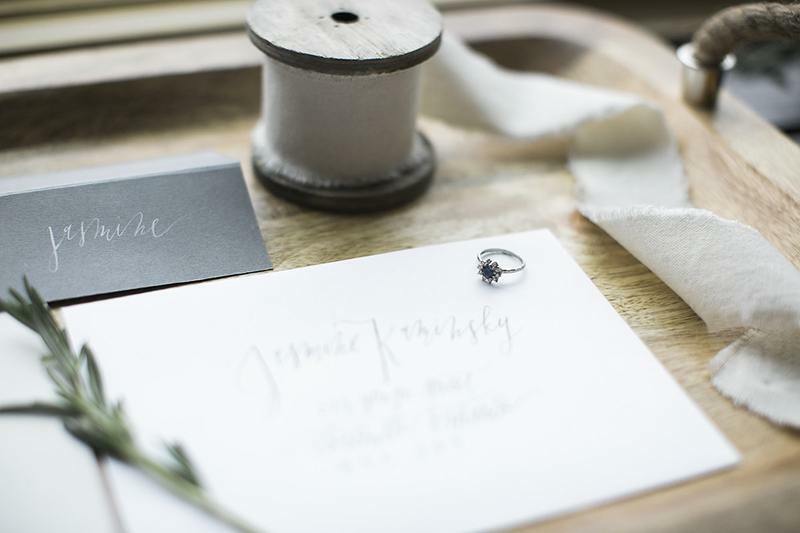 Anouk Jewelry was happy to provide a gorgeous free-form Montana Sapphire halo ring to go with a non-traditional blue wedding gown for the photo shoot. 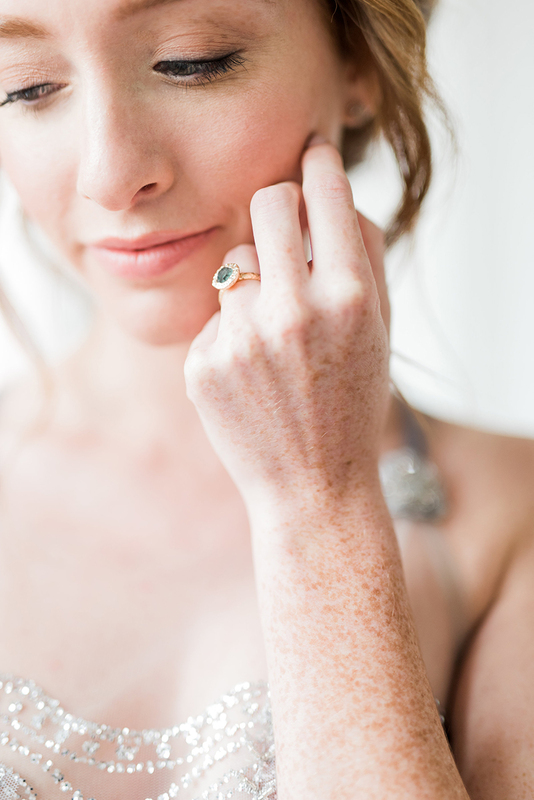 As the Wedding Chicks say it, “Love love love … this free-form Montana sapphire halo ring from Anouk Jewelry. So perfect for any bride, especially the bride-to-be that wishes to wear a non-white wedding dress.” Aww, thanks, guys! We couldn’t have said it better ourselves! Beautifully captured images by the talented Deanne MacRae, create a truly unique and original vision. As the photographer herself puts it: “There are gorgeous pops of colors everywhere – from the model’s stunning orange hair, right down to the unconventional blue gown by Wins Design – that are evened out by the clean slate of a light-filled, airy, white room. Meanwhile, texture draws the eyes in everywhere. 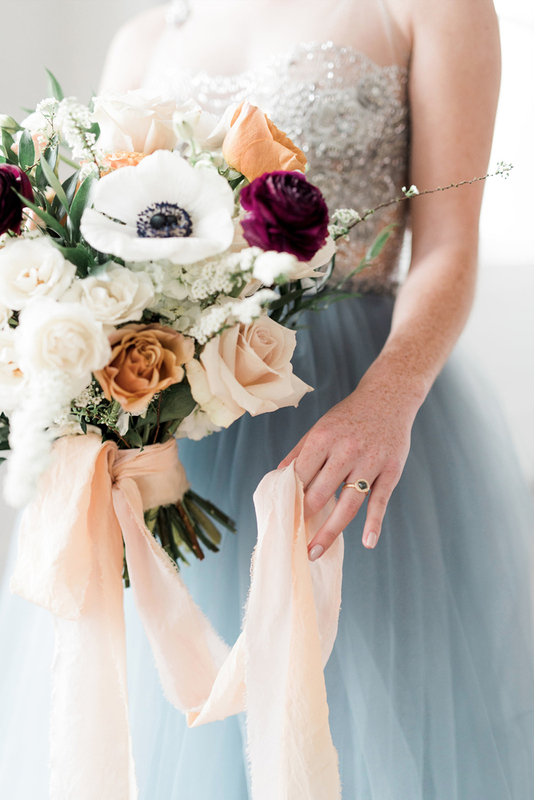 Delicate beading, tulle, a stunning fine-art bouquet, and my favorite: the model’s freckles, round out the scene so that simplicity can take over for the rest”. 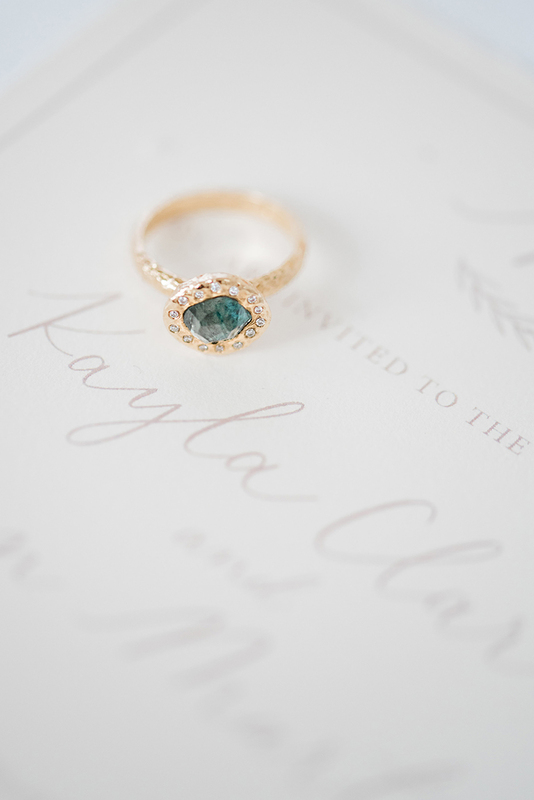 This bohemian halo ring is a one of a kind creation, featuring a 1.99ct roughly cut rustic blue Montana Sapphire, set amidst a halo of accent diamonds. 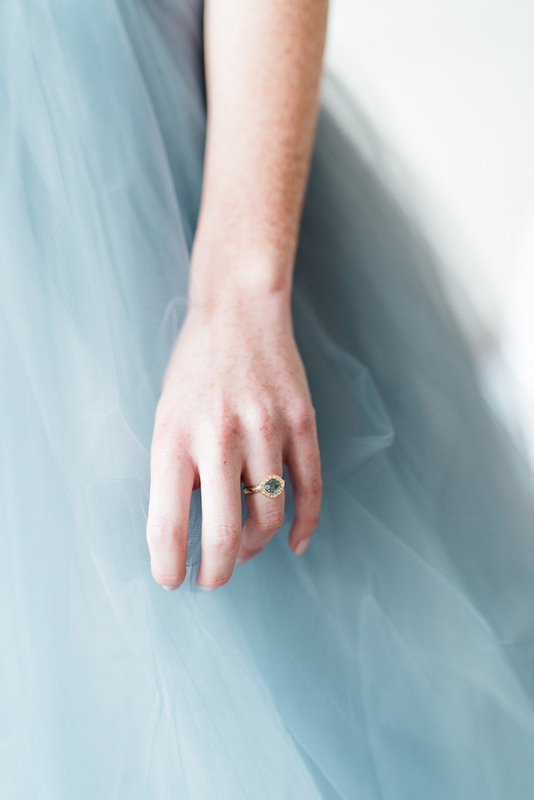 As with most Anouk designs, the ring was hand sculpted and cast in 14k gold. 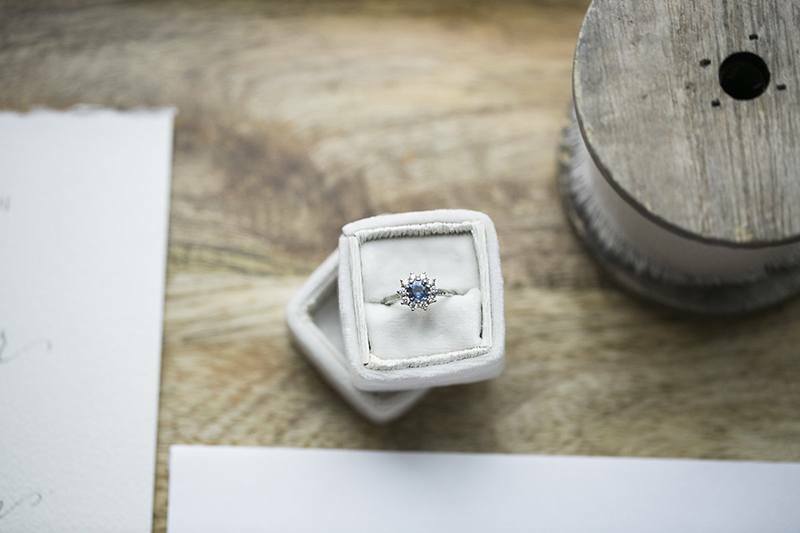 This choice of an engagement ring suits perfectly an alternative bride, who is looking for a unique engagement ring to reflect her personality and flare. To see a selection of our engagement rings, you’re welcome to browse our collection. It’s always a pleasure working with inspired photographers, and they don’t come more talented than the lovely Lora Vertue of Kissed by Light! 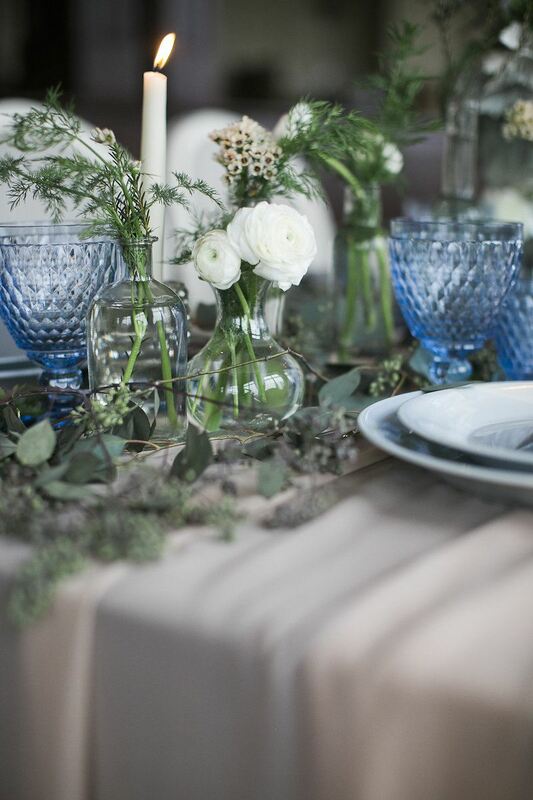 We recently collaborated on a stunning photoshoot for our upcoming lookbook (stay tuned!). Lora and her team interviewed Anouk designer Anat Kaplan for their online blog, as part of our recurring series of interviews featuring female artists, The Power of Her, and we’re excited to share the interview here as well. Please tell us about your jewelry and unique style that defines your current designs. I create fine jewelry inspired by nature and the ancient world. The bohemian and rustic look of my creations is achieved by hand carving, which results in highly sculptural and textured designs. I love working in all shades of gold, incorporating natural gemstones, especially raw diamonds and green sapphires. I draw inspiration from the organic elements, especially water, its colours, flow and shimmer, and the textures that compliment it, like sand and rocks. I’d like my pieces to echo the raw beauty of nature, and to evoke that serene feeling of timelessness. How did you decide to become a jewelry artist, tell us about your background? I come from visual arts background; I fell in love with ancient jewellery during my university years studying art history. I took a course on ancient Greece and Rome and they showed us some jewellery pieces that blew me away. These treasures had so much character and personality, they really spoke to me. Still today ancient jewellery is endless source of inspiration. Who are your clients, what kind of people come to you? My clients are those who look for something different than the traditional wedding jewelry. They are often nature lovers, or creative folk, who appreciate local, artisanal pieces. Often people come to me in search of a unique piece that would reflect their personality and those are my favourite clients to work with. 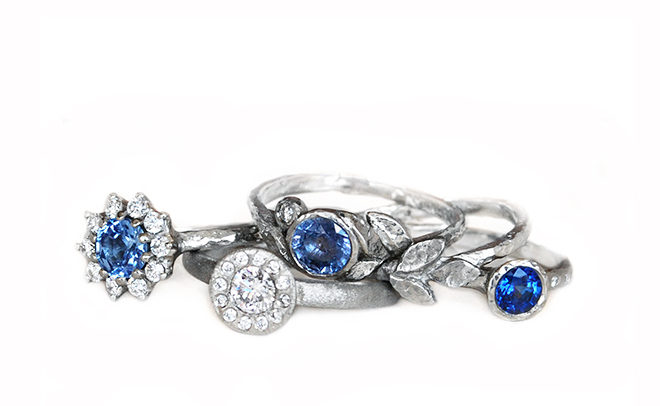 Together we translate their story into gems and metals, creating a one of a kind, bespoke piece of jewelry. Please tell us about your recent collection. My most recent collection is the Golden Leafs line, it was born in anticipation of spring after a long winter, and it’s all about growth, renewal and awakening. How did you feel about working with KBL’s Lora Vertue on the recent photoshoot? Shooting with Lora is always a big treat for me. I’ve worked with many photographers, but Lora’s impeccable style, great attention to detail and professionalism truly stand out. But most of all, she’s a true artist with a unique creative vision and an amazing talent for capturing beauty. I can’t wait to work with her again!